Part IV: Do they get enough recognition? People volunteer for many reasons, one of which is often Recognition! If they put in a great deal of effort and no one seems to notice or even says a simple "Thank you" then they will disappear. Employees are the same way. They like their work acknowledged, appreciated, and even recognized! How often to do compliment your staffs' work? Are you one of those managers who never gives a compliment because you don't want it to go to the person's head? How do you acknowledge and recognize a job well done? Have you noticed that the work and behavior you compliment is what you see more of? Set a standard of what needs to happen for you to give a sincere compliment or word of encouragement. Give at least one compliment a week (or whatever you feel appropriate) and watch for the positive impact that has. Volunteers often volunteer so that they can learn from others. Younger professionals are looking for guidance in their career to more easily determine where they want to take their career. I met with a young professional the other day who, after volunteering for a year and talking with other members, has a clearer idea of her next step in her career. Volunteers have the ability to pick the brains of more senior people. Likewise, senior people have the opportunity to pick the brains of the younger generations too! Whether solid in your job or looking to move on, everyone can learn something from someone else. If they can't learn anything where they are, a volunteer will move on. The same will apply to your staff. Embrace the enthusiasm and desire to gain knowledge and skill. Let them shine and show you what they can do! You will retain them longer. Is your staff stuck as far as growing and learning? Do you allow for opportunity for growth? Is your staff afraid to ask others questions? Are you a good mentor or coach to your staff? What 3 actions can you take to improve the ability of your staff to learn and grow? What makes a volunteer a volunteer? They WANT to volunteer. They want the experience of whatever it is they are volunteering their time for. Maybe they want to gain a new skill. Maybe they want to network with others. Maybe they want to give back to the world. Whatever it is, they are giving their time and effort to this volunteer work. 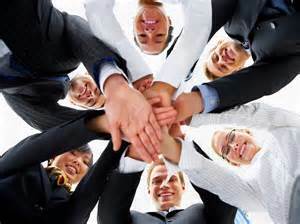 Are your employees so enthused and excited to do their job like volunteers are at volunteering? Are they able to have pet projects that they WANT to do? Are they able to benefit from their job in ways that are important to them? Do you know what each person values? If you aren't sure of those answers, what can you do about it? Was your reaction "that's treating them well" or "that's treating them badly"? It's meant to be good, and here is why. If you have ever run a group of volunteers, you have seen how a volunteer does something because they WANT TO. Isn't that amazing! They still need good leadership, or the volunteer will disappear. Having been President of two professional association chapters, one early in my career and one just in 2016, I have seen common attributes of working with volunteers that would benefit the corporate environment. More in the next post! Stay tuned.